What happens when you commit yourself to a partner for an eternity and then decide to call it quits? 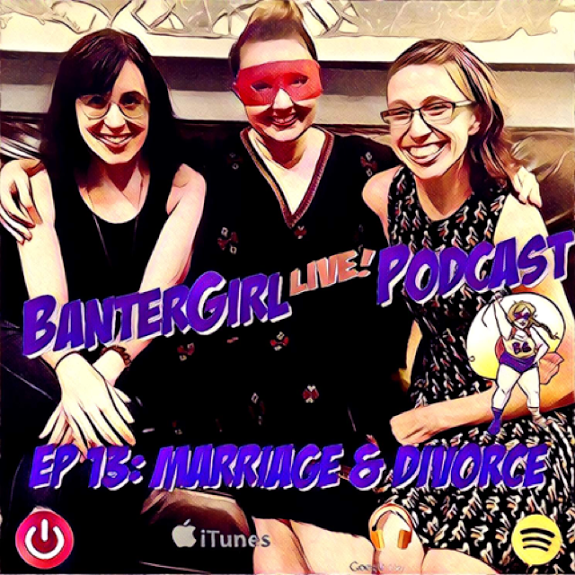 This “Marriage and...Divorce” episode of BanterGirl Live! brings together hilarious comedians Jenn Welch and Nicki Wright to discuss modern love and what goes into planning a marriage and...a divorce. Join us as we discuss the discoveries and learning experiences that occur throughout the commitment and dissolution of a marriage and also how to rebuild yourself after it all comes crashing down.